Which tourism player hasn’t dreamed of a miracle recipe to trigger without fail a purchasing reflex from the travelers that travel all around the globe? This recipe doesn’t exist simply because travelers have different tastes and needs. However, they all have a common decision and purchasing cycle for their trip. And it is in these travel moments that you must be in order to reach, catch their attention and make they buy. 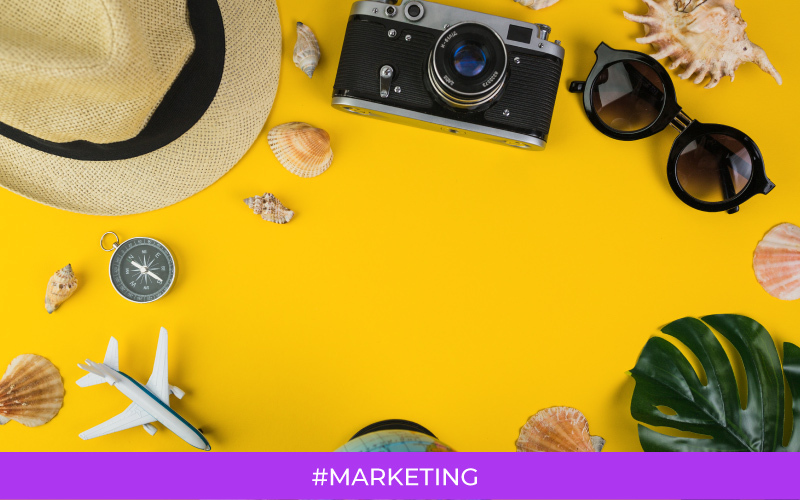 The travel inspiration is mainly provoked by 2 sources: travel photos from your family or friends (52% of the travelers, for one or more travels) followed by traditional medias — paper magazines (49%), TV shows (48%), paper travel guides (46%), and booklets (43%). Being present in these medias and investing in direct marketing are therefore 2 good ideas. But be careful, if they trigger the desire to travel, they don’t guarantee the purchase. For 74% of travelers, the travel planning begins with the destination choice: 73% visit websites to do so and 62% paper travel guides (many combine both!). Once the destination is chosen, the transport comes in priority (48%) — the flight eventually — then the accommodation (29%). Because once the flight is chosen, the accommodation choice comes right away (or in return for those who starts by the accommodation — hotel club, particularly). It is appropriate to offer packages flight + hotel (or train + hotel) with partners. Of course, at this point, the Internet becomes nearly the only used tool. Travelers look for price information on: online travel agencies (56% of them), then service providers websites (51%), and finally, search engine (37%). To compare the prices, the ranking is slightly modified: online travel agencies (51%), search engine (38%), then service providers websites (35%). These figures are very good news for service providers, but they need to distinguish themselves on 3 positions: its SEO, its graphical beauty and its clarity (easy navigation and detailed information on their offers and prices). To buy online, online travel agencies are still in the lead (39%), followed very closely by the service providers websites (38%). The Internet remains the first channel, but 23% of the travelers (nearly 1 out of 4) are still visiting traditional travel agents right before buying flight, accommodation and activities. This is why you shouldn’t forget these partners while you promote an offer. It is a shame that this step isn’t present in most of the published studies. Since, when the destination is on the other side of the globe, the flight duration offers interesting opportunities. A good marketing tool: the inflight promotion. No studies clearly give us the exact moment where travelers choose their restaurants, visits, guided hikes or mountain bike descent. But each person’s experience and the close relations’ one allow us to deduce that this type of services can be easily buyable on the spot. However, studies highlight that most of the travelers use their smartphone on site to find the best places and deals. Having a well-built website that encourages mobile navigation, with the possibility of booking, is therefore essential. On site, or especially once back home, many travelers hurry to share their photos on Facebook: 97% of women do so and 56% of men. These photos will inspire future travelers: everything is wrapped up! But it is not enough — if some customers enjoyed your services, you must encourage them to share their experience on social media and give you a good review where your services are on sale. For example, by taking their email address and sending them some good reminders. Sources: 2016 TripAdvisor Barometer, 2016 Think With Google Study, eTourisme Info article et Tom Travel article. Pioneers of digital onboard advertising. We connect advertisers with passengers flying to the most important destinations in the world. How to promote a restaurants on airlines? How to increase museums and other touristic sites visits ? How to increase your tours, activities and touristics excursion sales? How to attract tourists in your amusement park? How to increase your hotel and touristic accommodation bookings?